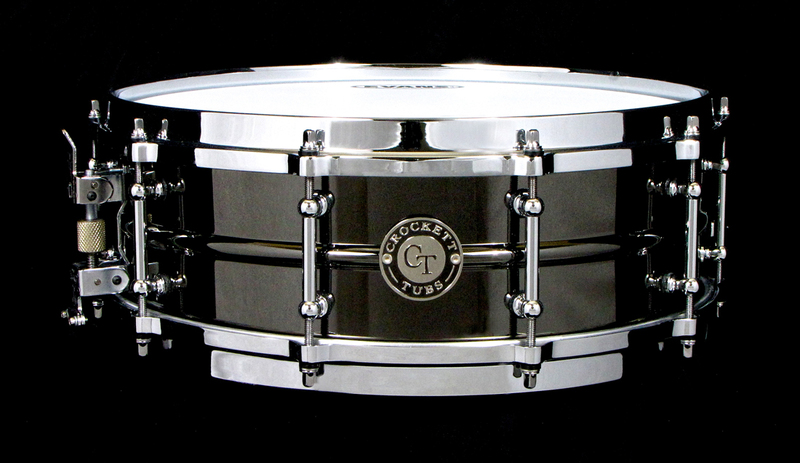 We built this snare drum for CHRISTIAN CANALITA, a local teacher and drummer for the country-rock singer JESSICA CAYLYAN. A 5×14″ smooth black nickel over brass shell that creates that warm brass snare sound with that extra bite. The added die cast hoops help focus the extra overtones while adding bolder rimshots and cross-stick sounds. All chrome hardware includes full length solid brass tube lugs x10, a vintage style P-86 throwoff and German brass snare wires. A killer sound drum for any collection, especially to fill that metal snare drum void. Posted on November 5, 2010, in Metal Snares, Snares and tagged 5x14", black, brass, cast, chrome, die, hardware, metal, nickel, over, p86, snare. Bookmark the permalink. Leave a comment.